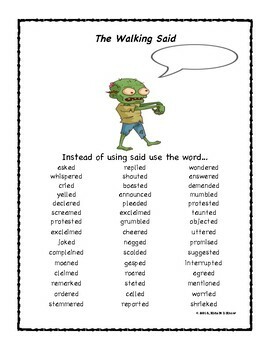 Said is a word that is overused when students create dialogue in their writing. This resource is a fun way to encourage students to write interesting sentences that replace the word ‘said’ with different and more descriptive words. 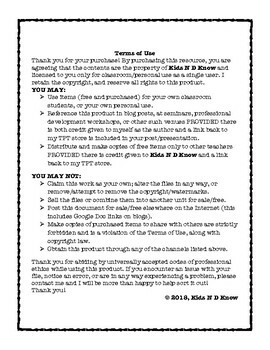 They can reference these words by having them displayed on the wall (as a poster ) for all to see, or have smaller copies made to be used in writing centers.